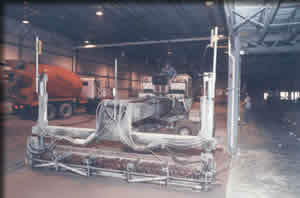 Mechanical Spreaders are used for precise placement of "dry shake" floor hardeners. 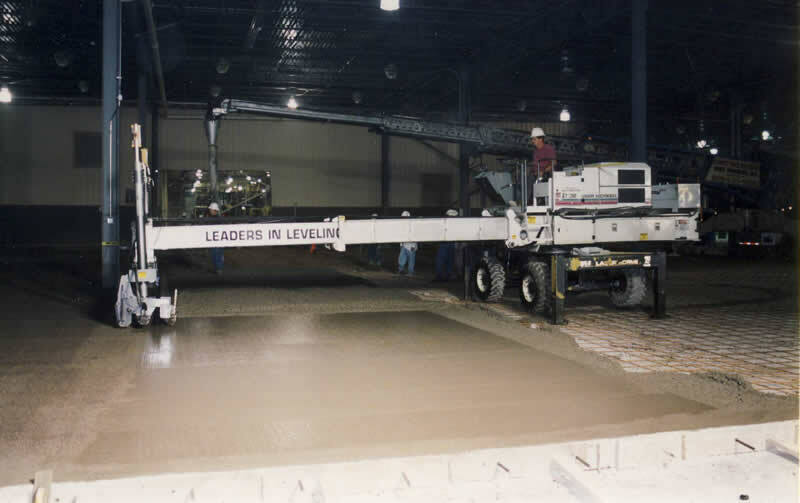 Laser Screed for leveling concrete. Thessen Concrete Contracting, Inc. has a proven history of finishing jobs within the limits of both time and budget. 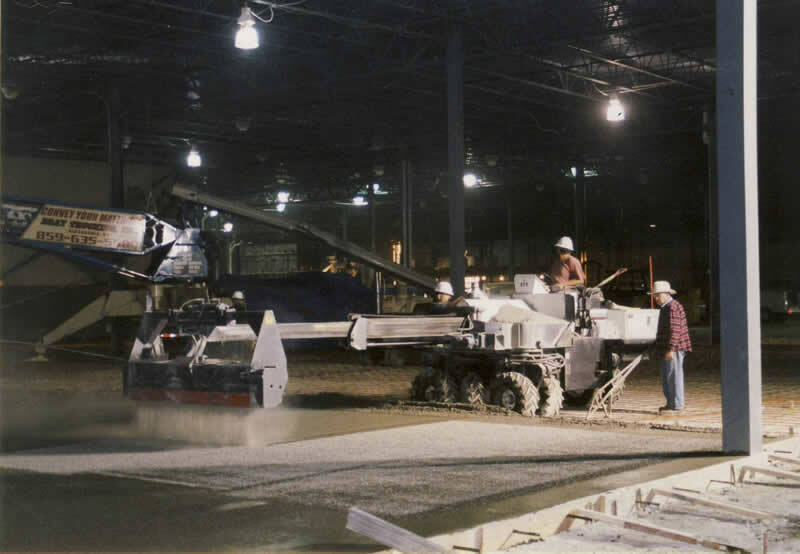 By choosing a professional who specializes in both new construction projects and the renovation of existing buildings you can rest assured that your project will be completed in a timely manner. 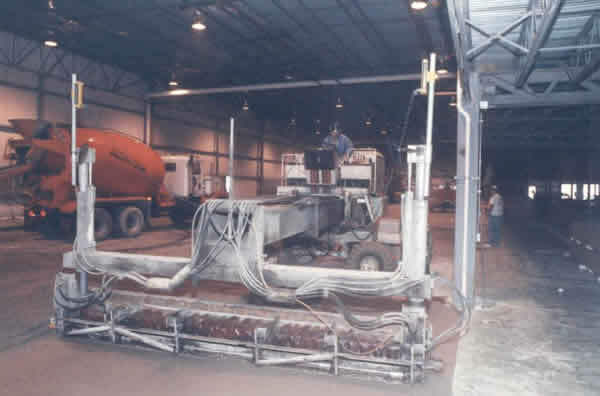 Thessen Concrete Contracting, Inc. has a long list of satisfied customers who can attest to our committment to quality. 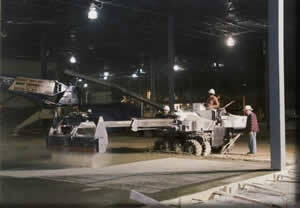 View a partial list of our customer here. 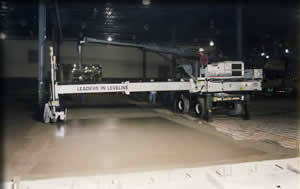 Concrete pours in excess of 100 ft. wide using the Laser Screed, reduces edge forming up to 50%. 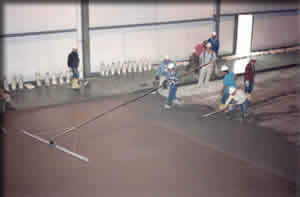 Highway straight edges are used to check floor flatness.